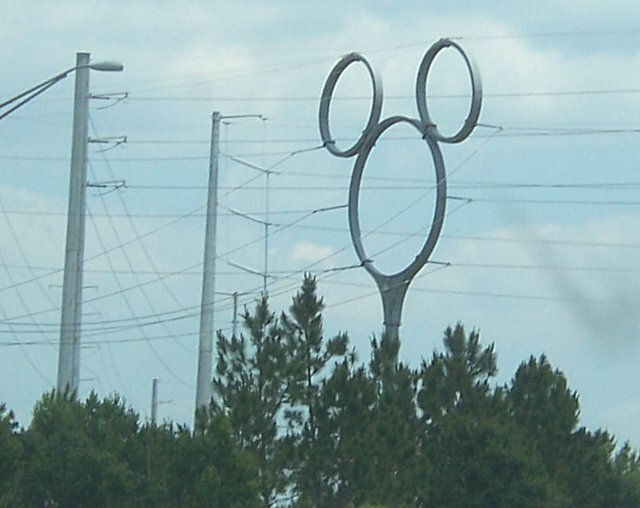 I saw this high transmission pole outside of orlando, thought it was pretty unique. Does it possibly feed power to a certain ammusment park in the area?? Yes, the left end feeds nearby Walt Disney World. I've passed that pole before when I lived in FL. I've always thought that Disney got special treatment here in Anaheim, but this really takes the cake....errr, cheese. Is this what is meant by a "Mickey Mouse" job? ahhhh, sunny florida. I wonder if FLA reciprocates with GA?